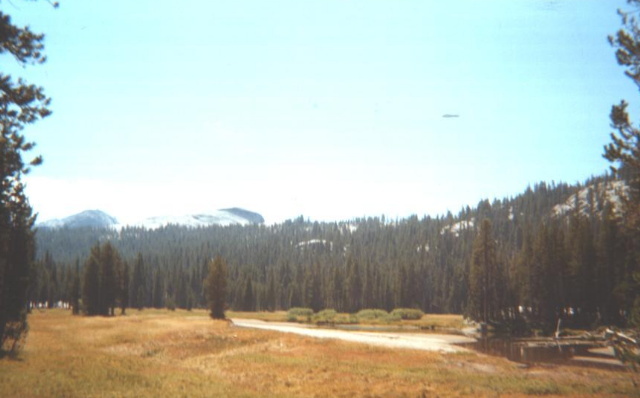 Our hike began in the Tuolumne Meadows of Yosemite National Park. The objective was Mattie Lake- a rarely visited sub alpine tarn purportedly home to a good sized population of gullible, chunky brook trout. To get there, we took the Pacific Crest National Scenic Trail (and bear canisters) from the meadows down to the Tuolumne River. The first part of the hike was about 9 miles, mostly flat but downhill for the last three or four miles to get to Glen Aulin High Sierra Camp at the bottom of the valley. The elevation there is 7,900 feet. From the camp we headed west off the PCT to another trail that’s name escapes me but follows the river downstream on the north side. Our plan was to hike about a mile until we were directly south of Mattie Lake, then follow the streambed that drained the lake up the face of the range just east of Wildcat Point. I figured we had about 1.5 miles to go- an hour at most. It took us over three hours. The streambed I had envisioned would direct us to the lake never materialized. I thought the grade would be steep for the first hundred yards or so, but it never seemed to end. These miscalculations were exacerbated by three things: 1) the rough terrain with unbelievably thick shrubbery and huge boulders, 2) as per usual my pack weighed at least 50 pounds, including the float tube for the lake (fully inflated), and 3) we had run out of water. There were at least three times when we thought we had reached the summit but to no avail. The mountain was messing with us. I was drained- physically and psychologically. My wife said I was pale, listless, and delirious. It was true. I was done. The sun was setting and we were running out of daylight. She suggested I stay back while she searched for water, but even I in my dilapidated state knew that was a bad idea. So we sucked it up and plowed onward. Thankfully, the ground flattened out and we appeared to be walking in some sort of dried out swamp. This was good. Water had to be near. About five minutes later, our prayers were answered- Mattie Lake. The elevation was 9,200 feet. These mountain lakes don’t have much in terms of structure. Apart from the odd fallen tree, the bottom was pure mud. 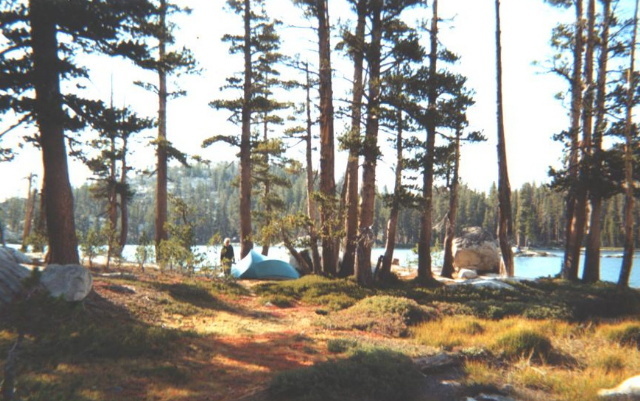 Mattie Lake is interspersed with grey boulders and surrounded by coniferous trees of some sort. 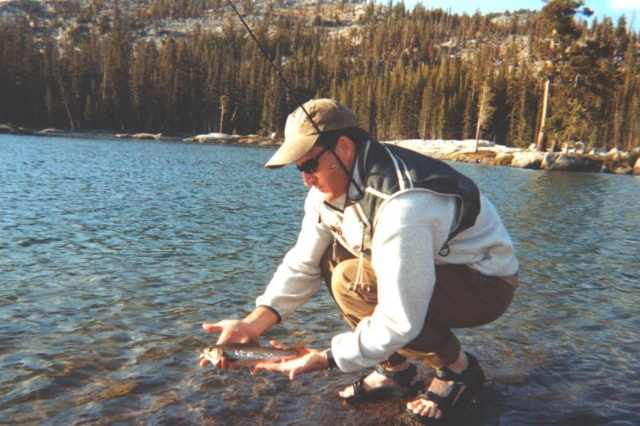 As far as fishing is concerned, the brookies were not as numerous as advertised, but they were easy to fool. Between us we caught about a dozen on fly and spinning tackle, mostly the latter. We camped at the foot of the lake in a prior use site- I only noticed one other around its circumference. All in all it was very pristine. After two restful nights, some good grub, and a relaxed afternoon of fishing, we were ready to hoof it back to Tuolumne Meadows. Once again, I misjudged the situation. I figured all we had to do was stumble down the mountain and hit the river. As it turned out, if you hug the east side of Wildcat Point too closely, you end up with nowhere to go as the decent is too steep (i.e., straight down). Unfortunately, we had to backtrack several hundred yards up the steepest terrain we faced the entire trip. This interlude took a lot out of our legs, and we would pay for it on the way back up to the meadows from the river. We made it back without any drama, but by the time we finished, we were even more exhausted than on the way up. If I did it all over again, I’d plan for another night and bring more water. 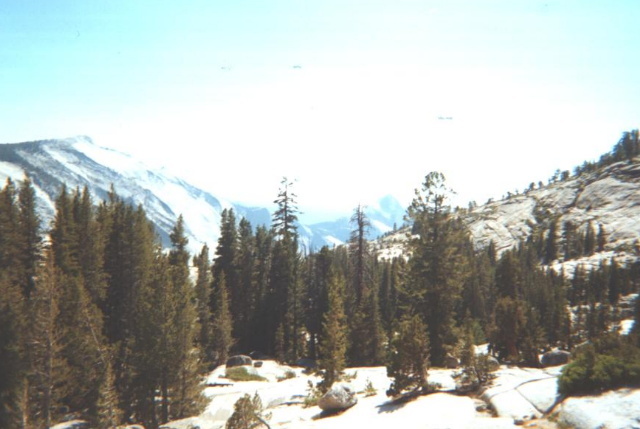 Click this link for more backpacking trips near Yosemite National Park. For more hikes in the State of California, follow this link.